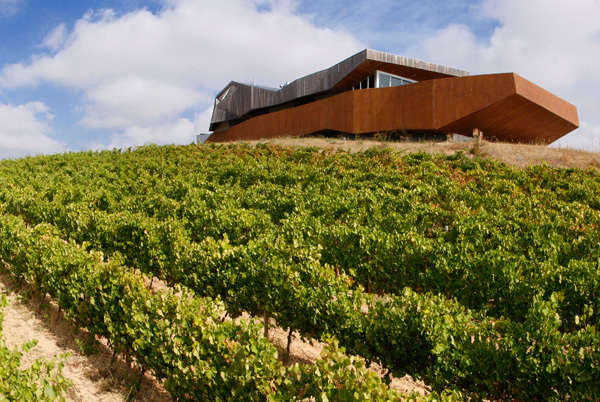 Aroa Bodegas had opened the door to first temporary ephemeral museum of Land Art among vineyards. 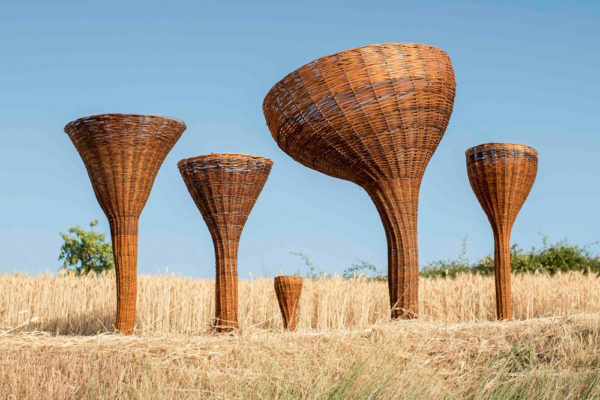 The exhibition was the result of the work of seven renowned artists during the first contest “Art en la Viña”, which took place between June 19 and 25, 2017. 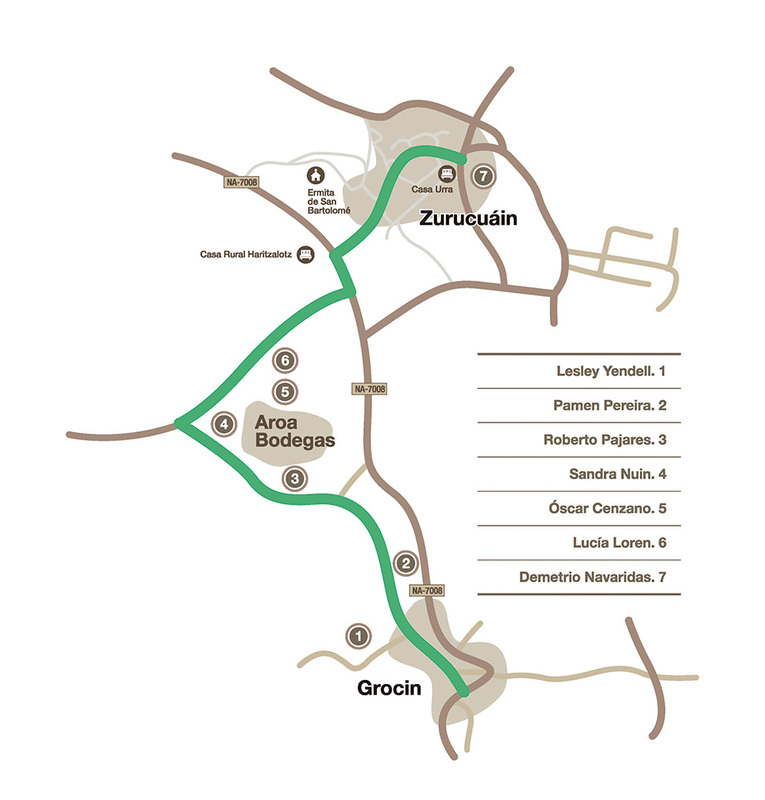 Two kilometers long exhibition route ran between the town Grocin and Zurucuáin, among which Aroa Bodegas is located. You can download the plan of the road here. 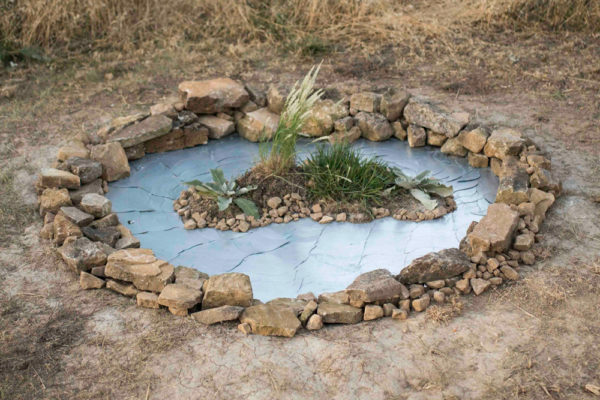 One of the characteristics of Land Art is an ephemeral art, subject to the inclemency of time and nature. Therefore, the exhibion took place in a certain period of time: from the end of June until the end of September 2017. 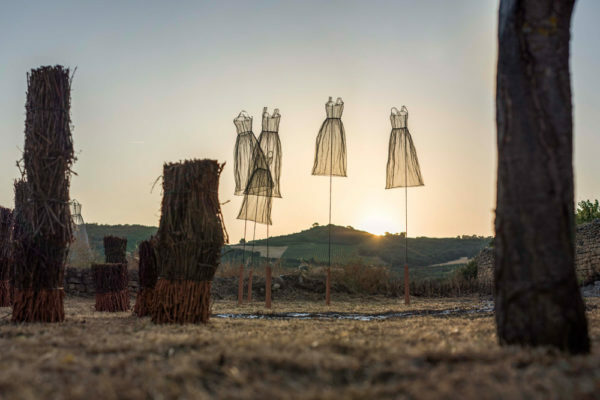 We will be back with the second edition of temporary ephemeral museum of land art in June 2019. 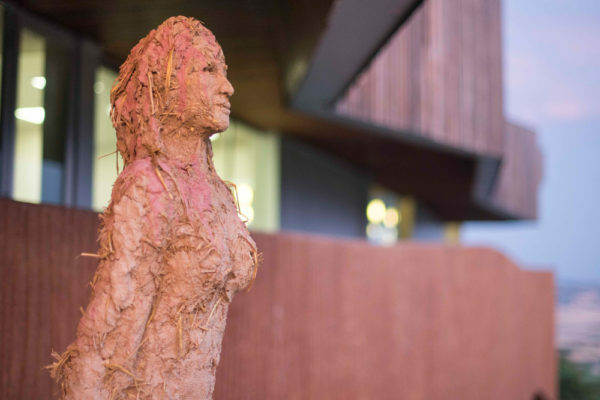 “Presence”, by the sculptor Lesley Yendell, was the starting point of the route and it was located at the exit of Grocin. The second work, “Ten thousand waves of the Zurucuáin Lake” of the Galician Pamen Pereira was positioned on the same road (Camino de la ermina). 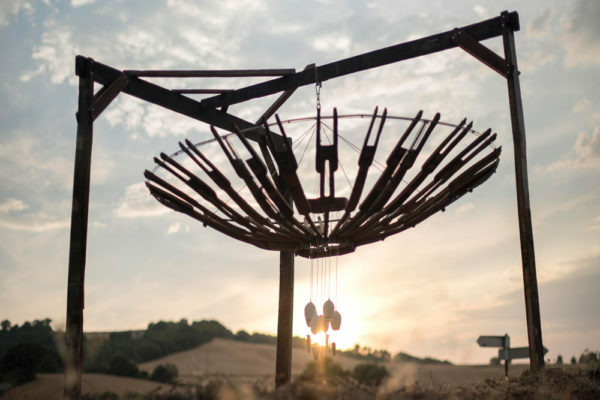 A few meters further on, near the winery, “Campo de estrellas”, the work of the Navarrese artist Roberto Pajares “El Pájaro” was located. 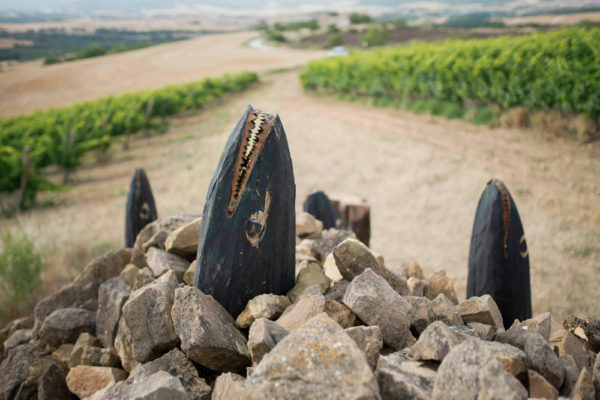 In the shadow of the winery Aroa, appeared “Waiting for the rain”, by Sandra Nuin. Next works were from Óscar Cenzano, “Los cuatro elementos más uno” and Lucia Loren, “Matriz de agua”. 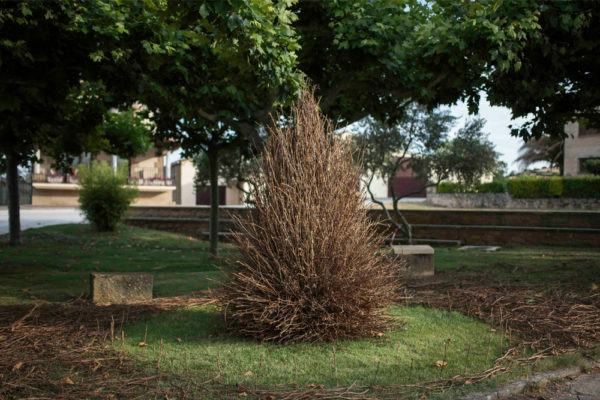 In the square of Zurucuáin “Conductos de la vid”, by Demetrio Navaridas finised the exhibition route.